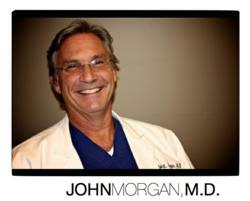 Bariatric Health & Wellness founder John M. Morgan, M.D. announces new clinic to open at Brookwood Medical Center in Birmingham to compliment their online weight loss programs. I feel like I am going back to my roots. As a practicing physician, I enjoy working with patients one on one. I look forward to working with new bariatric patients in a clinical environment. Dr. John M. Morgan, owner and founder of the Bariatric Health & Wellness program and Bariatric Direct online marketplace is bringing his online weight loss programs to Birmingham. The program is establishing a clinic at Brookwood Medical Center. Now prospective patients in both Tuscaloosa and Birmingham can take advantage of the Bariatric Health & Wellness weight loss programs and will be able to conveniently order food online. Dr. Morgan has been a practicing OB/GYN physician at Brookwood Medical Center for the past 21 years. Fifteen years ago, he became a certified diplomat of the American Society of Bariatric Physicians. He established the Bariatric Health & Wellness program in Tuscaloosa to help address the specific needs of bariatric patients and people looking for a service and product resource for dramatic weight loss. He has personally seen over 20,000 patients in the last twenty years. Once the clinic launches at Brookwood Medical Center, Dr. Morgan will be at the Birmingham center full time and in Tuscaloosa twice a week. The program will be the same currently offered through the online marketplace. The online program also has resources and product information for prospective patients outside of Alabama. The Bariatric Health and Wellness Center provides clinical services and online weight loss programs to help both men and women lose and maintain their weight goal. To learn more about Bariatric Health & Wellness, Dr. Morgan invites prospective clients to visit http://www.bariatricdirect.com/ or to contact the organization by e-mail at Info(at)bariatricdirect(dot)com. The website provides prospective patients with bariatric specialists for online support and guidance. You can also contact their offices by phone at (205) 752-5454.Their offices are located at 1800 McFarland Blvd N # 150 in Tuscaloosa, AL 35406. Bariatric Health & Wellness strives to be a patients' first choice for weight loss, providing a partnership that provides support, education, and maintenance, thereby enhancing health and quality of life of each of their patients. Their goal is for this diet to be the last diet a person ever needs and encourages a change of lifestyle. Bariatricdirect.com offers the lowest prices on meal replacement and supplements online. They provide restricted diets using pre-packaged foods with tools to monitor progress and supportive staff to help you stay on track.